Whether our agricultural team need to repair a punctured tyre in a paddock or fit new tyres in the yard, we have the experience and expertise to attend to your job. 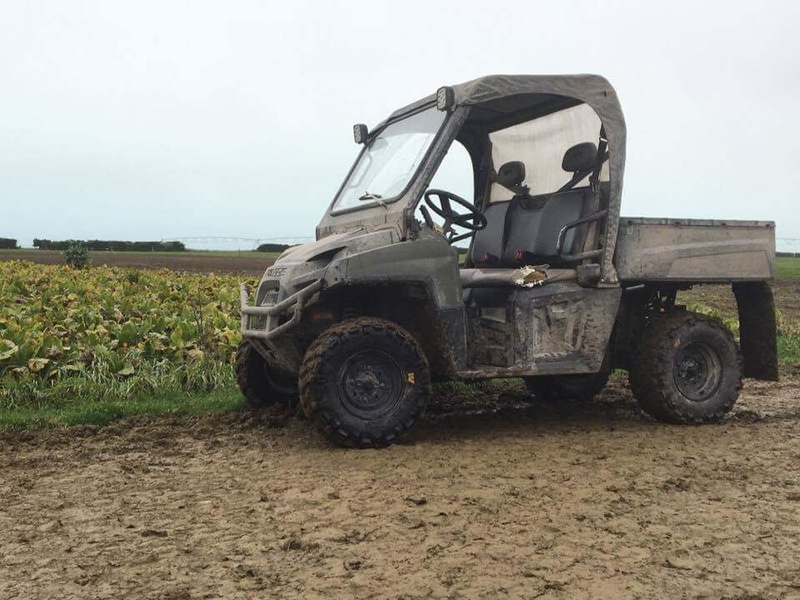 If a vehicle cannot be bought into the workshop, Neumanns Tyres have a fleet of servicemen who are able to travel out to make repairs in the field. Water tanks are carried on board to refill some tractor tyres. Are you unable to finish your paddock work and need tyres repaired on your cultivator NOW? Not a problem give Neumanns Tyres a call on 3086737 and we will call out and fix them where you are or arrange a time and have them fitted at our yard. Our farming practice on the naturally dry plains relies upon water often distributed via a centre pivot or travelling irrigator. Delays through flat or punctured tyres is costly on time, money and wastes water. For efficient water distribution, make sure your irrigator tyres are in good condition.